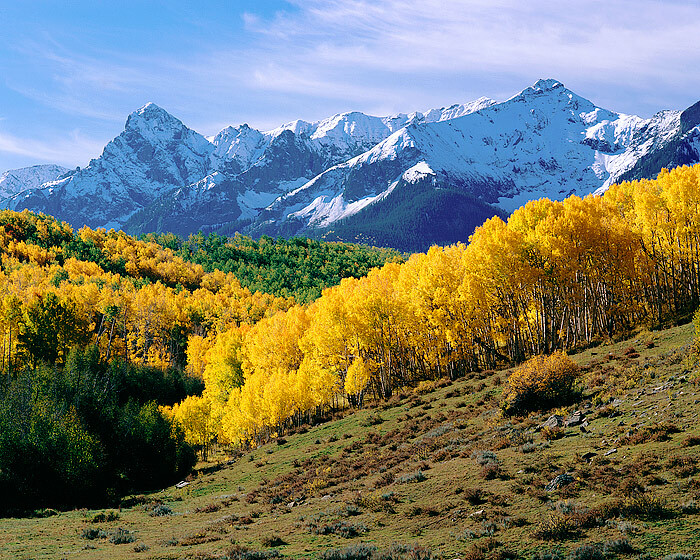 Fall color along the Dallas Divide. Driving from Telluride to Ouray one fall afternoon I drove by this scene and quickly turned around. This photograph was taken just past Last Dollar Road. The backlight Aspen grove and the whispy clouds over the Dallas Divide provided a postcard scene this day. Photo © copyright by Thomas Mangan.